Cremation is the process of reducing the body to bone fragments through the application of intense heat. Cremation is the final disposition of human remains. There may be legal requirements or crematory requirements for this process. In Illinois, cremation may not be done until 24 hours following death. A coroner's permit is also required for cremation. Embalming is not required for a cremation. The funeral home may require embalming if you select a ceremony option with public viewing. Caskets are not required to be purchased for a cremation. The crematory requires the remains to be placed in a cardboard container for the cremation. If earth burial is preferred, an urn may be purchased for the cremains. 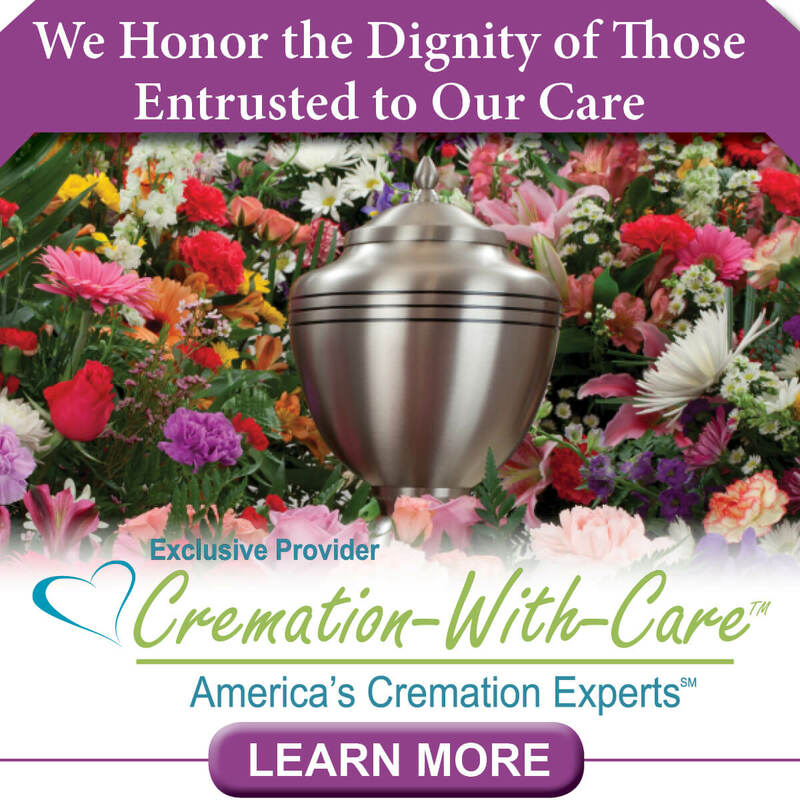 Cremation does not limit your choices for services. You may personalize the services you desire. Below are some options for a cremation service. This option allows you the benefit of a funeral either with or without a visitation prior to the cremation. You may purchase a casket or use a rental casket for the service. Following the service, the cremation will take place. Usually, a graveside service is held for the interment of the cremains, or the family may keep the cremains at home or make arrangements to scatter the cremains. This allows the benefit of a memorial service following the cremation. In this option, there is usually no viewing of the remains or services prior to cremation. The memorial service can be held at the funeral home or in a church. There is no service or viewing of the remains with this option. The family may make arrangements for burial or scattering of the cremains. An urn is a permanent container in which the cremains may be placed. They come in many styles, shapes, sizes and materials. The family may choose to bury the cremains in a cemetery or keep the cremains at home. 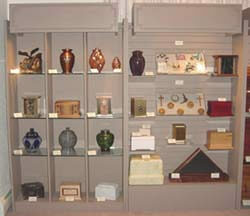 To the left are pictures of some urns we offer.